As I was completing a two month internship in Brussels, I surprisingly noticed that my coworkers knew little to none about Haiti and its troublesome yet tremendous history. Their rare assertions turned around the political instability and discriminating facts pertaining to the HIV/AIDS epidemic evolving in the country since at least three decades. As a matter of fact, the HIV virus (isolated by Robert Gallo and Luc Montagnier in 1983) has originated in West Africa and spread to humans since the early 20th century. Since the very first years of this 30 years-old pandemic, discriminating ideas have travelled the world and survived until today, even among the most academically educated people. Looking at the history of the deadly disease, I’ve come to realize how the fight against social and ethnic discrimination has led to outstanding progress towards a better future. The year 1981 marked an astonishing turning point in human history. On June 5 of that year, the Centers for Disease Control and prevention (CDC) published a report of five cases of a rare lung infection known as Pneumocystis carini pneumonia (PCP) among gay men in Los Angeles, USA. In New York and California, cases of a rare cancer, Kaposi’s sarcoma, were also reported to the CDC in the same period, leading to a total of 270 cases in the USA, by the end of the year. The general press prompltly used the terms “gay related immune deficiency” and “gay cancer” to describe the new disease and suggest a link between homosexuality and the disease. 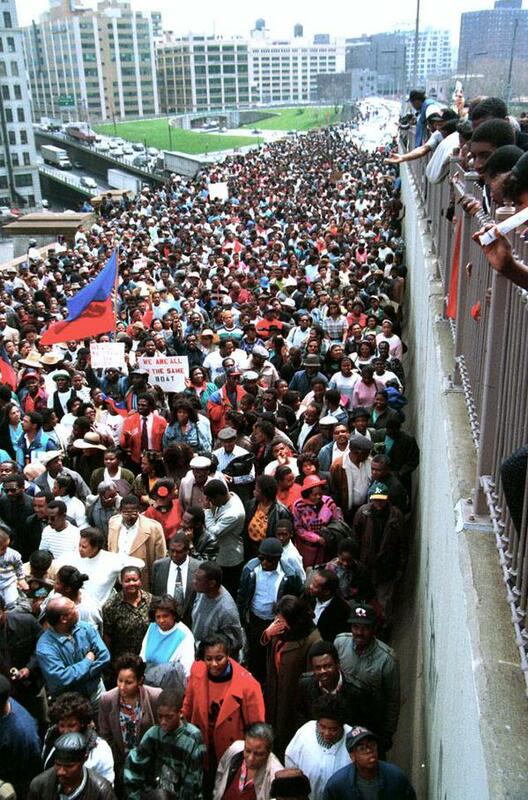 On 1982, among the cases reported to the CDC, 34 were Haitians residing in the USA and eleven in Haiti. This discovery has led the CDC to conclude that being Haitian was a separate risk-factor for the newly spread disease and coined the term “4H disease” to point out male homosexual, heroin users, hemophiliacs and Haitians as at-risk groups. With such a denomination, it was the beginning of an unprecedented discrimination era based on sexual orientation and ethnicity. In a study published in 2010, it is stated that the HIV discrimination against Haitians resulted in the devastation of Haiti’s fragile economy. 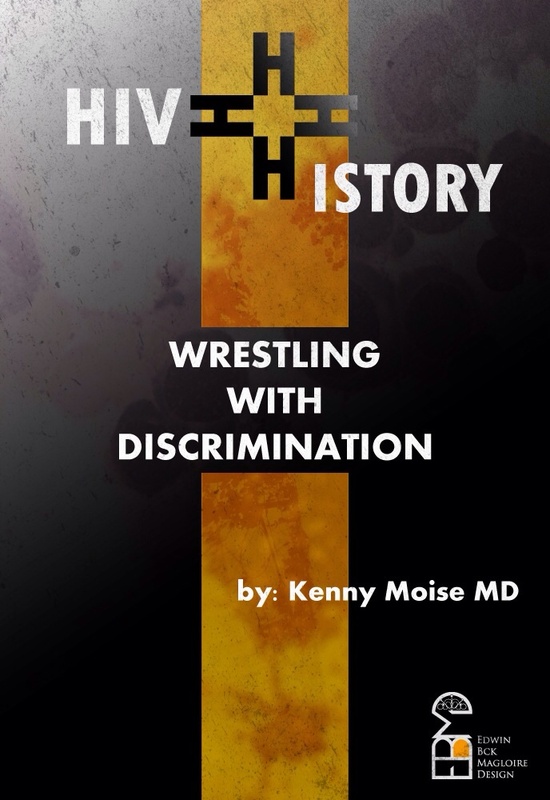 The discrimination had serious consequences in regards to the spread of the disease. People with symptoms suggestive of the newly identified syndrome lived by fear of rejection, quarantine or violence. 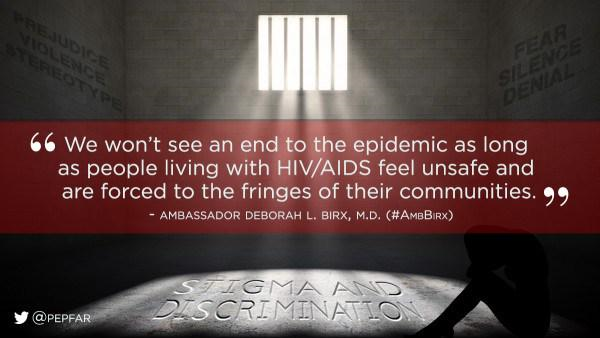 Until today, discrimination remains a challenge when it comes to treating the disease. It is a common factor contributing to delayed treatment in HIV cases, even in developed countries. It also impairs the public health strategies dedicated to test at-risk populations and control the epidemic. Therefore, the fight against AIDS has always been tightly linked to the fight of discrimination. At the time of “4H disease” there was a social, cultural and scientific (because of a poor understanding of the new syndrome) barrier which threatened the proper management of the epidemic. In this context, an unexpected event happened in the United States. On 1983, a New York doctor was threatened with eviction from his building for treating HIV patients. It led the Lambda legal group and Gay Men’s Health Crisis to file and win the first AIDS discrimination lawsuit in the USA. And, in July, the U.S. Congress enacted the Americans with Disabilities Act (ADA) which prohibits discrimination against individuals with disabilities, including people living with HIV/AIDS. Even though discrimination against gay communities persists today, this was a shining light spread upon the entire world regarding the necessity of banning stigma. 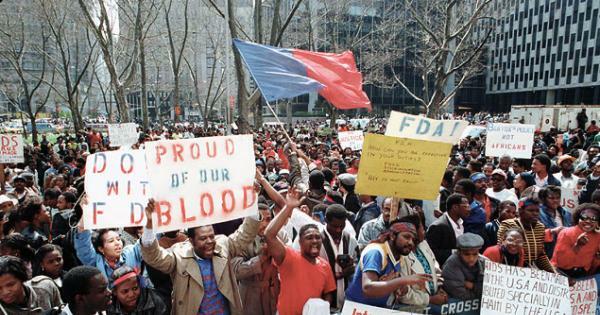 Years later, in New York, home of the largest Haitian diaspora community, 100.000 Haitians assembled and marched on April 20, 1990 in protest against a decision of the CDC forbidding Haitians and sub-Saharan people to donate their blood to blood banks. As reported by the New York times, Dr. Jean Claude Compas, said, “This policy is on the basis that Haitian blood is dirty, that it is all infected with the HIV virus. The decision is based not on sexual preferences, but on nationality, ethnicity.” Placards mentioned: “We’re proud of our blood,” and, “Let’s fight AIDS, not nationality.” Following this protest, a Food and Drug Administration (FDA) advisory committee voted to urge the CDC to abandon their policy based on exclusion. There is no doubt that in every corner of the world, discrimination against HIV infected people of any social category and ethnicity has been fought with vigor. In the light of the essential principles which guide humanity, AIDS is regarded today as a chronic disease and infected people ought to be cared for with the utmost dignity. To repeat the words of Ambassador Deborah L. Birx, “We won’t see an end to the epidemic as long as people living with HIV/AIDS feel unsafe and are forced to the fringes of their communities” The two major events described in this article have helped the world acknowledge how critical the battle for human rights has been in insuring a better future for all. Haiti is experiencing a declining prevalence since 1990. In this era of globalization, it can only be great news for the world. But this success is fragile and our common effort is required to sustain it. Share this paper in order to raise awareness on the need for inclusion and respect of all human rights no matter their health status.